An asymptotic method for reducing nonautonomous systems of differential equations with matrices represented as sums of matrix functions of different periods to systems with almost-constant matrices is proposed. On the basis of the proposed method, sufficient conditions for the asymptotic stability of solutions of systems of differential equations of this type are derived. Russian Text © Yu. 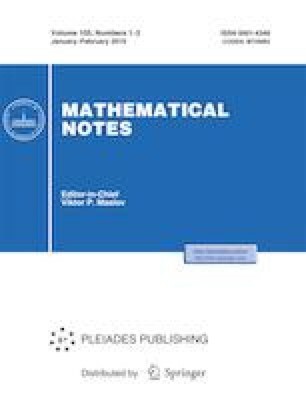 A. Konyaev, D. A. Maslov, 2019, published in Matematicheskie Zametki, 2019, Vol. 105, No. 1, pp. 9–17.